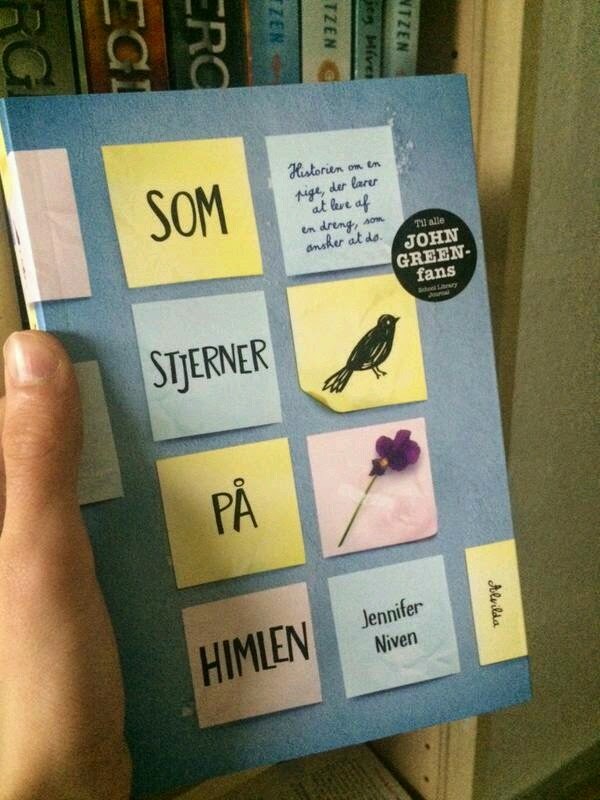 'All The Bright Places' Jennifer Niven. So last week was my first ever official blog post in which I reviewed 'book of the moment' All The Bright Places. Firstly I would just like to take this moment to address ALL of you, to say thankyou for your lovely messages. I have tried to reply personally to as many as possible, hope I didn't leave anyone out! Your support really means the world to me especially after what I consider a slightly anxious start. It took me about three hours to click the 'publish' button. Then again, it's taken me years to brave going 'public' with anything full stop! So huge thanks. 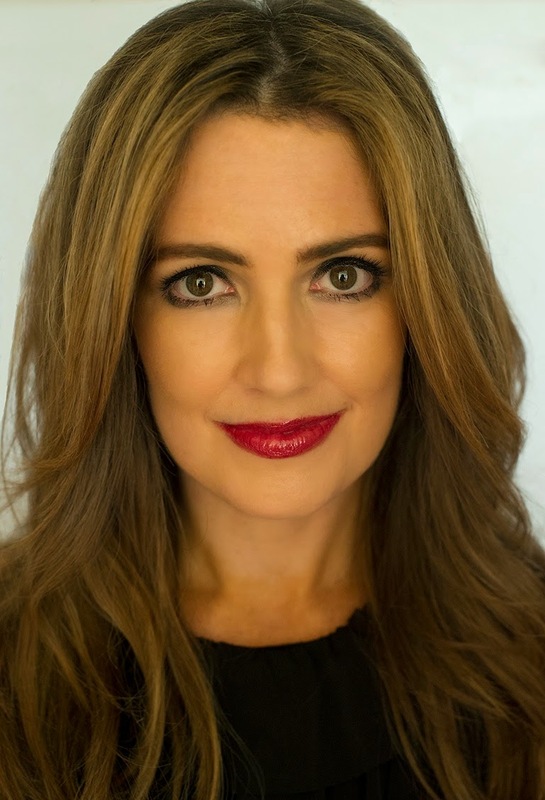 Secondly, last week I also shared 'Part One' of my Jennifer Niven Author interview. I hope you enjoyed it. From the positive feedback I've had so far I'd say you all seem to be HUGE Jennifer fans! Sorry it took so long but the wait is now over... You finally get to read the rest! All I can say is I like to get things 'just so' and in my defence, it is apparently a Virgo's prerogative to be a perfectionist! As I briefly mentioned in my last post, some of the content should be right up any aspiring writers' street! There's also some questions thrown in there purely for fun. The good sport that Jennifer is... She answered every single one! So here it is... Enjoy! GGD: How did you find your own 'voice'? JN: I really think I’m finding it with each book. It’s something that’s evolving over time. The more stories I write, the more I experiment with different ways to tell stories and the more I shape my voice. GGD: Have you had to sacrifice anything you love in order to write full time? JN: Time with friends, movies, dinners, weekends. I work a lot, but I do try to make time for fun and friends because it’s important to be balanced. GGD: In your interview with Elisa Zied, you said the book was originally titled 'You Make Me Lovely.' I can't imagine it being called anything else other than 'All The Bright Places!' Especially as Finch & Violet end up discovering their own 'bright places.' Did you have to do a re-write for the content to fit with it's new title? JN: I really didn’t. After I changed the title I realized that it could have been named All the Bright Places all along because it just… fit. GGD: You wrote ATBP in six weeks! Wow. That's quite a feat. How did you manage your average day? JN: I wrote and wrote, sometimes eight hours a day, sometimes more. I wrote on weekends too. But none of that is unusual for me because even when I’m not in the throes of writing a book, there are still hours of work to be done every day. GGD: You mention on your website that 'You should write the thing that you're burning to write.' All The Bright Places seems to epitomize that one sentence. You have openly admitted that Finch is just like a boy you used to know. How hard was it for you to tell this story bearing that in mind? JN: It was hard and then it got easier. The hardest thing was sitting down and thinking about how to tell this very personal story. But once I began writing, much of it just poured right out. GGD: The quote in the beginning of ATBP is one of my favourites... Ernest Hemingway 'The world breaks everyone, and after, many are strong at the broken places.' What made you choose this quote out of the thousands possible? JN: I credit what I call creative serendipity. I stumbled across the quote after I'd decided which story to write but before I began the actual writing. I can't remember now if I found it in a book or online, but when I read those lines I got goosebumps. Usually I keep a little folder of possible epigraphs and I don't choose one until I finish writing a book. But in this case, I just knew that was it. GGD: What is the best piece of writing advice you've ever been given? GGD: What was your biggest challenge when writing ATBP? JN: Writing through the tears. The story was very personal to me, and because of that I carried it around with me for years but never wrote anything about it. Honestly, I wasn't sure I would ever be able to. But then I decided to try, figuring no one needed to know if I discovered I couldn't do it- and one chapter led to another and another... But some moments in the book were definitely sadder and harder for me than others, and sometimes I wrote while crying. GGD: One question I'm particularly intrigued to know the answer to, is why did you switch to young adult fiction for this story? I personally read both adult and YA but don't you worry that ATBP might be overlooked by the huge adult reading market out there? GGD: What did you most enjoy about writing ATBP? JN: Finch was a lot of fun to write. Before writing All the Bright Places, I’d been working for five or six years on a series of novels told from the POV of a heroine named Velva Jean Hart. I love Velva Jean—she’s feisty and adventurous and funny—but I was ready to write from the POV of a new character. Finch’s voice just came right out from the very start, almost fully formed. I also had a lot of fun writing Finch and Violet together, especially as they started to fall in love. GGD: Many a writer tells how their characters take on a life of their own... As you wrote and developed Finch and Violet, is their anything about them that surprised you? JN: The characters really do take on a life of their own. Finch was inspired by my ex-boyfriend, but before I knew it he became his own separate person, and I stopped seeing him as anyone but himself. Violet was funnier and livelier than I first expected. In the first draft of the first few chapters, she was kind of shy and quiet and just... there. But gradually I discovered a slightly snarky, cynical side, and I went back and reworked the early chapters accordingly. GGD: How did you write or get 'inside' Finch's head to show the reader the mental turmoil he was experiencing? JN: I really just wrote the story I knew. Years ago, I knew and loved a boy, and that boy was bipolar. I witnessed up-close the highs and lows, the Awake and the Asleep, and I saw his daily struggle with the world and with himself. Name your own bright place... Home. Anywhere my fiancé and cats are. And Los Angeles, where I live. I’m madly in love with my city! Person who most influenced your writing... My mother. Favourite bookstore... All of them. But I have a soft spot for Waterstone’s Picadilly because of the reception they gave me for my first book—they created a giant ice sculpture! I also love Avid Bookshop in Athens, GA, Book People of Moscow, Idaho, Book Soup in Los Angeles, and A Great Good Place for Books in Oakland, CA. I want to live in them. Tea or Coffee... Decaf ginger tea with lemon. Alternative profession... International rock star detective, a profession I dreamed up when I was little. In lieu of that, maybe an actress, a forensic anthropologist, or an archaeologist. Secret desire... To make out with Jared Padalecki. Author... My mother, Penelope Niven. My next favorite is Flannery O'Connor. Book... 'In Cold Blood' by Truman Capote. Film... I love Charlie Chaplin's City Lights because the ending KILLS ME every time. But there are so many movies I adore, everything from Bridesmaids to the Thin Man series to Gone with the Wind. Magazine... Other than Germ lol...!! Hello Giggles or Jezebel. Favourite type of research... I'm completely fascinated by family history and family tree stuff, although I don't have much time to devote to it. I also love digging around in musty old archives. Age when you knew you wanted to be a writer... Four or five. Natural hair colour... My natural hair color is like a mood ring. Depending on the lighting, it could look reddish-gold, light brown, or dark brown. X-Factor or Dancing with the Stars...'Dancing with the Stars' because it was my mom's favorite show. Winter or Spring... Definitely Spring! Cat or Dog... Cat! Three actually. I like dogs too, but I'm allergic. Song that defines All The Bright Places... I actually have playlists—one for Violet, one for Finch, and one for the book itself (Violet's playlist: You Start Here. 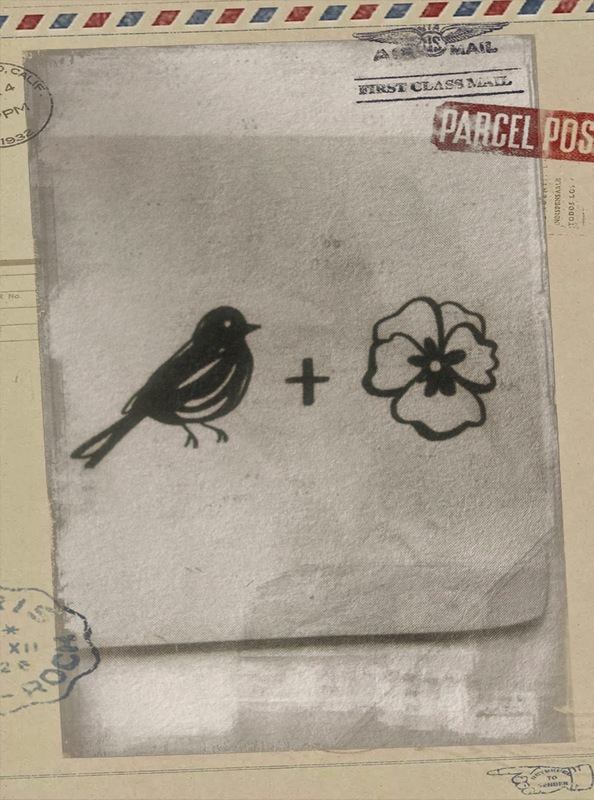 Finch's Songs That Will Change the World. All the Bright Places soundtrack)— but if I were picking just one song, it would be one that a reader ( @BFelsmann ) sent me recently. “All the Beautiful Things” by Eels. It’s sad and lovely and sweet and haunting. Simple yet powerful. Poignant. And I love the words. 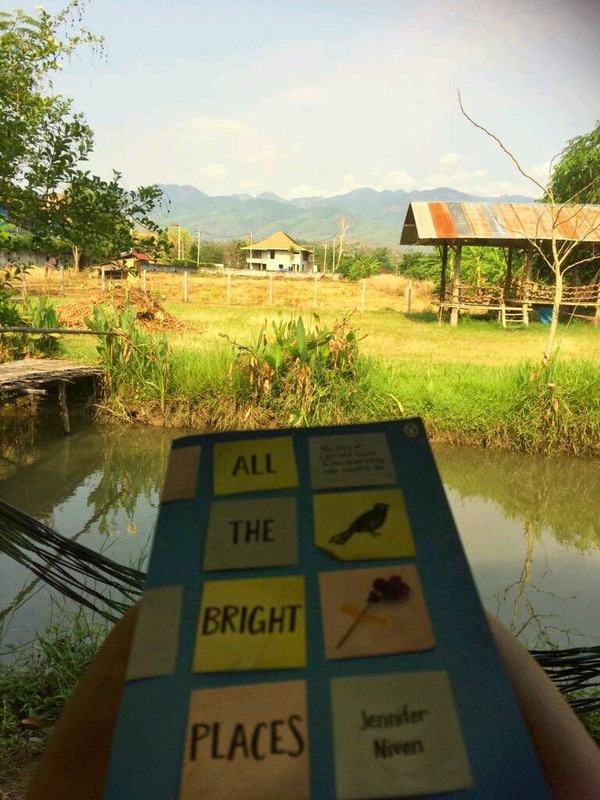 Using one word, summarize 'All The Bright Places!' Honest. And there you have it. That's a wrap. It was truly a pleasure interviewing Jennifer. If any of you have any questions feel free to leave them in the comments box and I'll be sure to pass them on. Next week's post is going to be something a bit different. 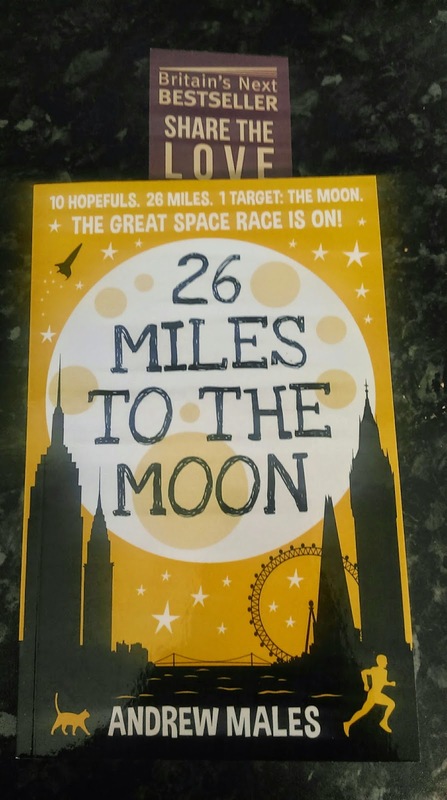 However, for all you book lovers out there, my next interview will be with Andrew Males, Author of '26 Miles To The Moon.' (Photo below.) I'd love to tell you more right now, but both Andrew and I would hate to steal Jennifer's thunder. This is HER moment to shine! Header photo taken of illustration (Sarah Watts, 2015) and edited using basic photo edit on HTC. You've asked such unique questions! That's so cool! AND OMG I LOVE Faye's picture :) I did go through Finch's playlist and I LOVED it. So, so apt :) Great job, Justine! What a wonderful interview; as for an author rec I will refrain from plugging myself and instead recommend Kathryn Phillips. She is writing the Lifebringer series, which is about a demon named Severin who has a big destiny.